As the successor to the XK150, the Jaguar E-Type became something of a phenomenon as soon as it was launched at Geneva in 1961. 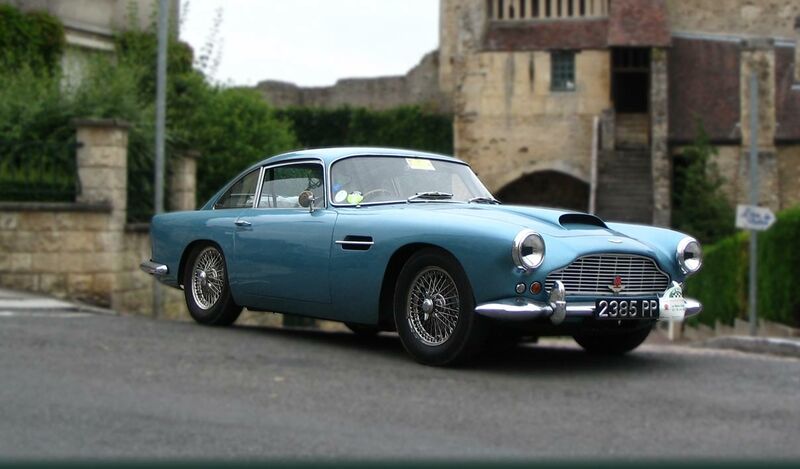 The futuristic aerodynamic body design became a style icon of the Sixties, and powered initially by its predecessor’s 3.8, six cylinder XK6 engine, the E-Type was indeed the epitome of all grand touring sports cars. This original right hand drive Series I 3.8 Litre Roadster was purchased by its late custodian thirty six years ago in Hong Kong. According to the Jaguar Heritage Trust Certificate, the E-Type was supplied to the Jaguar distributor Gilman & Company of Hong Kong; the specification included manual transmission, Opalescent Gunmetal body colour, a dark blue interior and a black hood. The original chassis number plate is supplied, confirming matching numbers. Other documentation includes ‘The Government of Hong Kong certificate of particulars of vehicle supplied under regulation 4 (2)’, dated 3.1.2017, and the HMRC NOVA document confirming duty has been paid (£1125). A hand written log of work carried out from 1981 until 1984 is also supplied, together with eleven photograph albums showing the stages of renovation and an inventory completed when the motor car was dismantled in 1984 for shipping from Hong Kong to the UK. The components were labelled and packed, with the exception of the engine (which we are informed ‘turns’), the clutch assembly, gearbox, rear axle and front suspension, which are all still fitted to the bodyshell, thus enabling the vehicle to be ‘rolled’ on its wheels. The boxes containing the components are included in the sale, are all numbered and relate to the aforesaid inventory; a new and unused stainless steel exhaust system, four unused chrome wire wheels, the hood assembly and seats are also supplied. The project has been stored in a dry garage since 1984 and we are informed that the odometer reading is 22631; considering the Jaguar's history, this is believed to be correct. 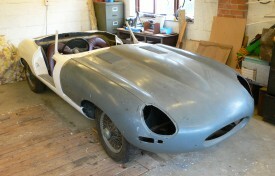 With only 942 examples produced, this E-Type is an exciting and worthwhile prospect. Footnote: The vendor’s agent has carried out preparatory work for a V5C registration certificate. The new custodian should be able to obtain a registration number from DVLA with relative ease after restoring the Jaguar and obtaining an MOT test certificate. We understand that the licencing authorities in Hong Kong issued the British registration number AW 157 in 1981, in preparation for its return to the UK.